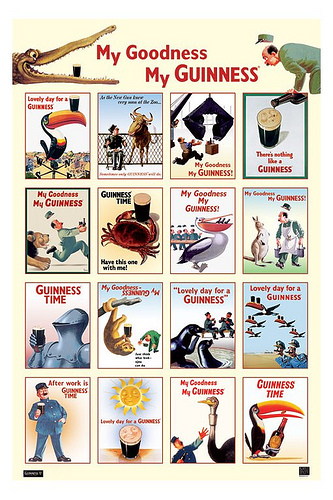 ﻿© Copyright Ken Brown and licensed for reuse under this Creative Commons Licence. who in the “Royal Sovereign” on the 21st October 1805, led the British Fleet into action at Trafalgar and sustained the Sea Fight for upwards of an hour before the other ships were within gun shot, which caused Nelson to exclaim “See how that noble fellow Collingwood takes his ship into action”. He was born at Newcastle-upon-Tyne 1748 and died in the Service of his country, on board of the “Ville de Paris” on 7th March 1810 and was buried in St.Paul’s Cathedral. 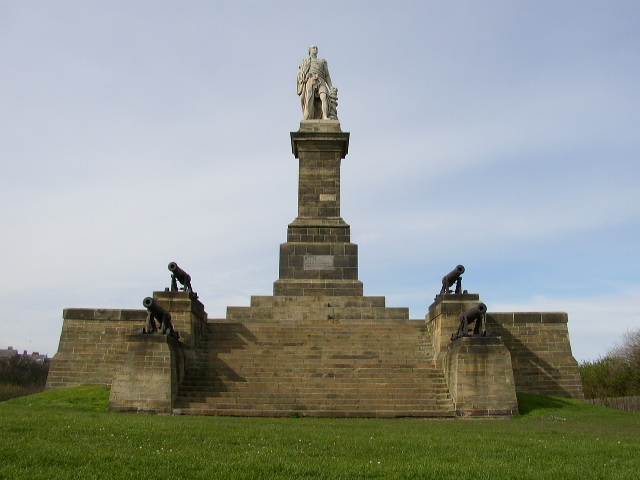 This magnificent tribute to one of the region’s greatest historical figures stands overlooking the entrance to the River Tyne at Tynemouth. The statue is the work of John Graham Lough and stands atop a formidable pedestal designed by John Dobson. The cannon were added in 1849, four years after its original completion. Formed in 1864, the Tynemouth Volunteer Life Brigade was a true trailblazer in the annals of sea rescue. On 24th November of that year, a huge storm drove two vessels, The Friendship and The Stanley, onto the Black Middens rocks at the mouth of the Tyne and, amidst the confusion, none of the available lifeboats went to their immediate aid, each thinking the other had already launched. By the time a proper rescue attempt was made, lives were already being lost, until the count reached a total of 32 – all within yards of the watching crowd. As a result of the confused rescue attempt, three men, John Morrison, and brothers, Joseph and John Foster Spence, got their heads together and decided that it’d be a good idea to train a band of locals to assist the ‘emergency services’ in times of need. The response at the specially convened public meeting of 5th December was huge, with over 100 men signing up on the spot. The notion of ‘volunteer brigades’ became so popular that the idea was soon rolled out across the land, with the Board of Trade circulating the Tynemouth Brigade’s rule-book to coastguard stations throughout the UK. In time, dozens of new bodies were formed to offer their assistance to the local HM Coastguard Stations. Thus, the still-existent Tynemouth Volunteer Life Brigade, established in 1864, can rightly claim to be responsible for the founding of the national Coastguard Rescue Service, which continues to perform its supporting role to the mainstream rescue services today. Above is the coat of arms adopted by the Borough of Tynemouth upon its formation in 1849. The various bits and pieces are all pretty self-explanatory (the motto means something like ‘harvest of the deep’ – coal and fish, get it?). But what exactly do the three crowns mean? Well, the shield which lies at the centre of the emblem was adopted due to its being that of the Prior of Tynemouth. And the story goes that the three crowns represent the three kings buried within the priory’s walls, namely Oswin, Osred and Malcolm. The earliest of these, King Oswin, was the ruler of the ancient kingdom of Deira, that portion of Northumbria which lay between the Tees and the Humber. The northern bit, Bernicia, was at the time ruled by another individual. In 651, however, that other individual, one King Oswy, attacked the southern kingdom, sending Oswin first into retreat, then into surrender. Sending his troops home to save their lives, he then gave himself up to the enemy (or was betrayed – sources vary), was murdered by them, and interred at Tynemouth. He was later elevated to sainthood. King Osred II became ruler of a united Northumbria in c.788-89, but soon fell himself in 790 to the previously deposed Aethelred. Fleeing into exile, he returned for another crack at the top job in 792, but was slain – probably by Aethelred’s men – before he’d had a chance to get himself organised. His murderers at least had the decency to have him buried at Tynemouth Priory. King Malcolm III of Scotland died doing what he did best; raiding Northumbria. He was forever at it, and eventually paid with it with his life when he was defeated and slain at the Battle of Alnwick in 1093. His remains were interred at Tynemouth – though they were later reburied next to those of his wife, Margaret, at Dunfermline Abbey in the thirteenth century. Still standing on the Great Lime Road a little to the south of Killingworth, this splendid little relic of the past was home to George Stephenson and his young family during the early years of the nineteenth century. 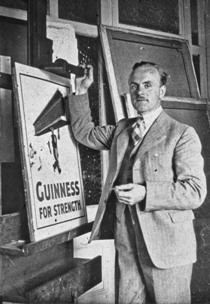 George was just starting out on his incredible career when he moved into the cottage – as a brakeman in charge of winding machinery at nearby West Moor Colliery – but was internationally famous by the time he relocated to Newcastle twenty years later. George Stephenson. Engineer. Inventor of the Locomotive Engine. 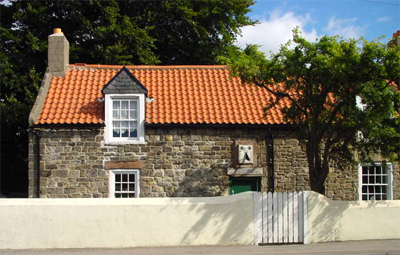 Lived in this cottage from 1805 to 1823; his first locomotive (Blücher) was built at the adjacent colliery wagon shops, and on July 25th 1814 was placed on the wagonway which crosses the road at the east end of this cottage. No one really knows why, but in the spring of 1881 eminent American painter, Winslow Homer, chose to spend eighteen months of his life in the Northumberland coastal village of Cullercoats. 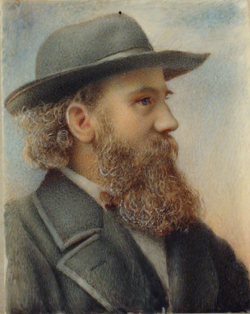 It was a period of his life which resulted in a widely acknowledged improvement in his artistic style and not a little fame for the fishing community itself. The Bay Hotel, demolished as recently as 2005, was the great man’s home during his extended stay (then known as the Hudleston Arms Hotel). He maintained a studio across the road at No.12 Bank Top (demolished 1930), which enjoyed fine views out to sea and over the harbour. An apartment block called Winlsow Court now stands on the site of the old Bay Hotel. For a selection of Homer’s paintings of the village, see www.cullercoats.pwp.blueyonder.co.uk/org/homer.html ; and for general Cullercoats history see http://www.cullercoats.org.uk/ (and click on ‘history’- a good deal, too, on Homer here). More general biographical detail on the man can be found at http://en.wikipedia.org/wiki/Winslow_Homer ; and a splendid collection of his works is hosted at http://www.winslow-homer.com/ . 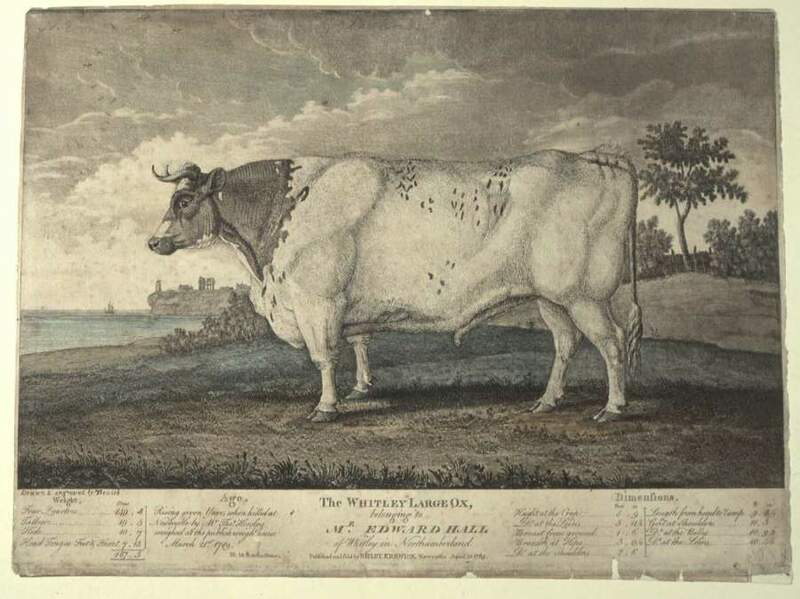 This beauty was so famous in its day that the great engraver Thomas Bewick had an audience with it – if only to immortalise its image prior to the poor beast’s slaughter. The famous eighteenth century quadruped – known variously as ‘The Fat Ox’, ‘The Whitley Large Ox’ or ‘The Whitley Great Ox’ – was the property of one Edward Hall, and was grazed up to its immense proportions upon fields now occupied by The Fat Ox pub in Whitley Bay. 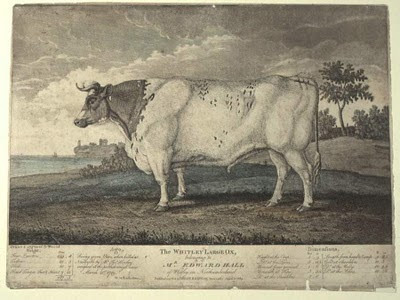 The engraving was produced for the owner, Mr Hall, and published on the 10th April 1789 – presumably to commemorate the animal’s demise. The occasion of its death produced quite a stir, much as a public hanging might have, in fact. Truly a legend in its own lifetime, it was 5ft 9ins in height and an incredible 216 stone in its prime. It was so big and cumbersome – and presented such an awesome sight – that when it was due for slaughter it took seven days to walk it the ten miles or so to Newcastle through sizeable crowds.